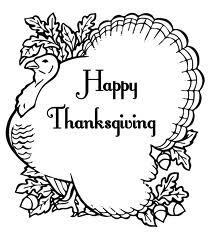 Thankfulness steps to the fore every year at this time. Busy people stop to reflect on reasons to be grateful. Formerly gobbling turkeys are gobbled up from tables laden with goodies and surrounded with family and friends. Thoughts of sharing come out of hiding to brighten short winter days. Shop-till-you-drop becomes the motto of gift buyers who seek extraordinary bargains in fiscally lean years. Ironically, a day dubbed “Black Friday” separates the time of thankfulness from the celebration of a birth that many believe will one day bring longed-for peace on earth. Stores beckon customers with midnight specials and wee-morning hours to move inventory from overloaded shelves to places under decorated trees. On this dark 24-hour period jammed between gratitude and peace, both qualities run short in the wake of get-there-first and get-yours-before-supplies-run-out attitudes. If someone suffers injury in the frenzied process, so be it. But wait! Let’s stop before we jump in the car to go shopping and take another look at gratitude — and attitude — that can extend a once-a-year celebration into a year-round gift. We’ll explore it from the perspective of writers, but in practice it can extend to any occupation and walk of life. Successful writers most often are part of a team that takes a book from concept to creation. Most commercial books are populated by characters and experiences drawn from real life. Even fantasies rely on familiarity to form a connection with readers. To those whose lives inspire us . . . thank you. We writers may not say it, but we are grateful to all who lend their experience and their expertise to our stories. Writing groups, family members, editors, proofreaders, layout experts, cover artists, mentors, book shepherds, agents, publishers, printers, marketers, distributors, book stores, Amazon, Kindle, Nook . . . the list goes on. Then we have our readers. Without them, we wouldn’t sell books. Readers make or break a book’s success. Thanks seem inadequate when it comes to their impact on our writing lives; and although we seldom see them face-to-face, we know their existence and appreciate their support. We show our gratitude by keeping their needs and their enjoyment in mind when we write our next book. Their presence in our lives is a gift for which we are grateful every day of the year. Black days — Friday or otherwise — mellow into soft grays when we allow an attitude of gratitude to override the frustrations of writer’s block and other occupational hazards. While we cannot send thank-you cards to all our readers, we can acknowledge their value in our book dedications and on our websites. And we can take a moment to drop a note of appreciation to those who help us through the concept-to-creation process. Without them, we could be tucking unread, unpublished manuscripts into dark dresser drawers. Do you have a special way in which you express your gratitude? If so, please share it with us. Retiring editor Linda Lane will soon open a special online bookstore, Linda's Book Nook, where writers can congregate in an atmosphere of nurturing and support and bask in the connection with like minds and empathetic understanding. Visit her at www.denvereditor.com, where she will continue to direct a team of powerful editors dedicated to raising the bar on the quality of all books, whether traditionally or independently published. I agree, Linda; without readers (and loyal readers) our writing experience is much more shallow and one-dimensional. I think a nice way to express gratitude to (and develop a relationship with) readers who have made the effort to seek out an author's website is to provide extra content there for them to find. This could be anything from short stories, character bios, previews of the next book, to puzzles and games and contests to win copies of books. Absolutely, Elle! An interactive website creates a connection, especially if new information is forthcoming and perhaps the reader has the option to ask a question, make a comment, or otherwise communicate with the author -- and get a response. Contests are great, too. Such perks turn readers into fans. Been kind of quiet here at the BRP today—I think that proves that even writers, who fit in their work 7 days a week, can take one day a year to shine their gratitude on other areas of their lives! I'm grateful every day for the space my husband gives me to write as I need to—my first husband was not so supportive. So today I spent some time reflecting some of that back to him. Hope you all had a great Thanksgiving!